If you can’t physically be out on the water, the next best thing is being able to watch people do it on TV, right? And these days, there are some incredible shows out there! Not only that, but many of the best fishing shows are available on Netflix, Amazon, or YouTube, meaning that you can watch them whenever and wherever you want! Well, to help you keep track of all the fishing shows out there (and where you can find them all), we pulled together this quick reference guide. Founded way back in 1997, Netflix has been a pioneer of online video content ever since. And if you’re looking for fishing shows that you can binge-watch, you’re in luck! They have a bunch! Here is our list of the best fishing shows on Netflix. *Need a Netflix membership? See if you can split one with your friends, or sign up for your own account here. Chasing Monsters – Adventurer Cyril Chauquet seeks out the most colossal and dangerous underwater creatures around the world in this adrenaline-packed series. Monster Fish – From Australia’s river shark to Nicaragua’s killer tarpon, biologist Zeb Hogan travels the globe in search of the biggest, fiercest fresh water fish. Hardliners – Veteran longline fishermen risk their lives in the treacherous waters off Australia’s east coast to catch big tuna and swordfish for upscale markets. If you want to see a really interesting subsegment of commercial fishing, this is a great watch! Warning: this show has some strong language. Not appropriate for all audiences. Slow Salmon Fishing – This installment in Norway’s “Slow TV” phenomenon features footage of salmon fishing on the Gaula River on the opening day of the season. Even though Netflix is still considered by many to be the leader in premium on-demand video content, there are actually more fishing shows available on Amazon. And many of these shows are free for people in Amazon’s “Prime” network (the network that gives you free shipping, occasional deals, etc). *If you don’t have Amazon Prime, it’s definitely worth checking it out. Stream a bunch of movies and TV shows, PLUS you get all the free Prime shipping and other perks. See the best deals on Amazon Prime here, or get a free month here. Addictive Fishing – From fly fishing for tarpon in the Marquesas Islands to bass fishing in Lake Okeechobee, Season 17 is one of the best of Addictive Fishing. Capt Blair Wiggins takes us to South Texas for redfish, trout and black drum and to Florida’s Space Coast for bull redfish in the ocean and seatrout in world famous Mosquito Lagoon. Big Fish Man – World record-holding angler Jakub Vagner would die for fishing and has come close more than once. In “Big Fish Man,” he embarks on extreme fishing expeditions in the most remote regions of the world in search of fish that have never been filmed in the wild. Fishing With Ladin – Fishing with Ladin inspires young and old to enjoy the outdoors. Travel the Northwest with them as they reveal the beauty of nature and the practice of catch and release fly fishing through an entertaining format that is fast-paced and humorous. Knot Right Kayak Fishing – The only thing Chad Hoover enjoys more than catching big fish is exploring and finding fish where power boats can’t reach. Knot Right Kayak Fishing follows Chad on these entertaining backwoods adventures, while offering anglers valuable fishing tips and tricks. Catching the Impossible – Described as the greatest fishing films ever made, “Catching the Impossible” is a celebration of Britain’s underwater wildlife and the excitement of trying to find and catch our largest fish. In this series of nine one-hour films, famous actor and avid fisherman Bernard Cribbins joins record-breaking angler Martin Bowler in a journey of discovery and adventure. Local Knowledge – Local Knowledge focuses on the culture of fishing as seen through the often humorous viewpoints of two drastically different fishermen from opposite sides of the country. Ali Hussainy of San Diego, California is the President of BD Outdoors, the largest fishing site on the web, while Capt. Rush Maltz is a born and raised Florida Keys fishing guide. 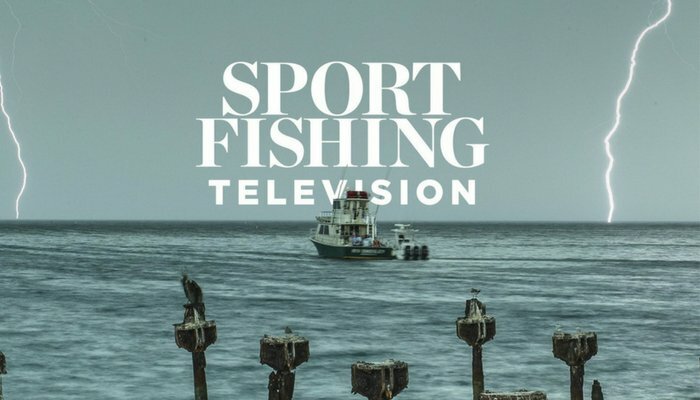 Sport Fishing TV – Join host and filmmaker Graham Morton, as he teams up with some of the top captains and guides in the world. It’s fishing like you’ve never seen it! Fish Mavericks – This outrageous reality television show centers on two brothers and a brother in law from New Jersey and two brothers from Virginia. Each week, these unscripted characters travel to diverse locations to experience the local culture, fish, and sometimes compete in tournaments. Destination Baja Sur – Viewers are taken on exciting on-road and off-road, inshore and offshore journeys up and down the Southern half of the Baja peninsula. Sport Fishing With Dan Hernandez – Go fishing with fishing expert Dan Hernandez as he takes to various locations where exotic fishes exist. Afterwards he visits chefs that cook up a meal to satisfy your hungry needs. Seasons on The Fly – A documentary style fly-fishing program that features many famous and not so famous watersheds. Hosted by Greg Heister, it’s a show that goes far beyond the catch. It’s Emmy award winning photography and writing will set this show a part from the others. You’ll get your share of fish, history and stunning photography that will make Seasons On The Fly more than a television show. Fishin’ With The Good Ol’ Boys – John Shaw is based in Arizona, but travels across the globe to explore the world of fishing in this great show! A Fishing Story With Ronnie Green – A Fishing Story is a fishing show that explores the lives of people who have had tremendous life experiences. Entertainers, professional athletes, veterans, and everyday people alike will share their stories with host Ronnie Green. Tune in to take a step into the real life experiences of men and women just like you that will offer enlightening perspectives while challenging your outlook on life. G3 Sportsman – Dedicated To The Everyday Outdoorsman, each week the G3 Sportsman takes to the woods and waters in search of new outdoor adventures. Whatever the season, whatever the species, host Scott Turnage and his guests will take an in-depth look at all that the outdoors has to offer and the experiences sportsmen want to see. Celebrity Fish N Fire – Explore the Caribbean while fishing with famous athletes from all disciplines. NFL stars, hockey players, UFC, Major League Baseball, and more. Watch as each episode, two athletes compete in a head-to-head style showdown. Fishing With Gary Senft – Learn while you watch Gary demonstrate Bass and lake fishing basics in waters across the country. Fish Trails – Based on a project supported by the World Wide Fund for Nature, we follow expeditions to new fishing regions of the world and look at eco-tourism. Expedition Beluga follows the annual migration of this fish as it faces a frail future; Expedition Kenya visits the Kenyan coast and the awesome Nile perch. Reelin’ In The Keys – Sport fishing from the sport fishing capital of the world, the Florida Keys and meeting the charter fishing captains who do it. Each episode chronicles a day on the water sport fishing inviting the audience to come along. The Scott Martin Challenge – The Scott Martin Challenge is unlike any other show with head-to-head competitions shot in a single-day competing for nothing more than bragging rights. This successful show has run for 11 seasons! American Angler – Fishing the world for exciting game fish with Pat Traynor. Marlin, Tuna, Dorado, enormous lake Bass, and everything else you want to see, wrapped up into one exciting show. Fin Chasers – Under the skyline of Manhattan lies one of the best fisheries in the world. Captain Frank Crescitelli is a self made fishing kingpin and a native of New York. Frank is a family man who owns four fishing related businesses. Watch as Frank and his crew of celebrities and fishermen put it all on the line to do the unthinkable… chase world records! Fish’n 4 For Fun – Fish’n 4 Fun is a high-energy and action-packed fishing show that captures the thrill of the catch, while offering priceless tips to improve your technique. With fishing pole in one hand and a camera in the other, host Tami Curtis and her various guests embark on a journey in search for the ultimate fishing spot. Cabela’s Collegiate Bass Fishing – For the 12th season, Cabela’s Collegiate Bass Fishing Series takes you to some of the greatest fishing spots to witness this exciting competition. Keyes Outdoors – Keyes Outdoors has an ensemble team who fishes the upper Midwest for the big trophy muskies considered the monster fish of the fresh waters in North America. Trout TV – Hilary and Rich travel the West, bringing you the best fly fishing destinations for your viewing pleasure. 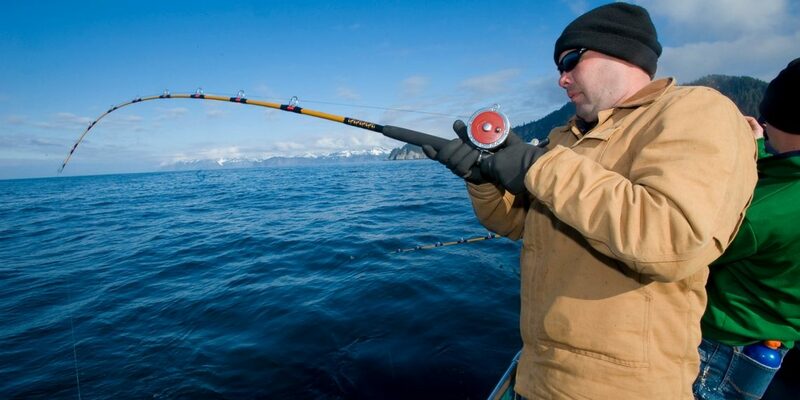 Alaska Fish Wars – During the Alaskan summer, 400 vessels with unrelenting fishing captains race out into Cook Inlet in an intense competition to secure a share of the wild Alaskan salmon run worth 60 million dollars. See our top recommendations for rods, reels, line, and more. For as terrific as Netflix and Amazon are, it’s pretty hard to compete with free. If you’re ok watching the occasional ad, YouTube is a gold mine of incredible content, in all shapes and sizes. And with fishing shows in particular, you can find a ton of great stuff! As you might expect, many of the YouTube vids are a little less produced and…. “polished.” Some people may not like this, but there’s a certain authenticity you get on YouTube that you don’t find on the other networks. Andy’s Fishing – Hosted by Andy, a low-key Australian guy on a mission to help educate, inform, and expand horizons. Videos feature fun fishing trips, and a fair amount of cooking tips and how to’s as well (a la “Meat Eater”). Jon B. – Young kid that’s after big, hard-fighting trophy fish. Raw and at times irreverent, Jon teams up with lots of friends and fellow fishermen to keep the adventures fun and lively. Trips are all over the world. Fun, young, and lighthearted feel. BlacktipH – Like the name connotes, BlacktipH Fishing episodes feature adventures in catching sharks, and other enormous ocean game fish. Host Josh Jorgenson and experience camera people do a great job to put together a show with truly impressive footage! LunkersTV – Bass fishing videos on the daily (almost). This channel is pretty much what you think of when you think of a typical YouTube channel. Not a lot of fancy edits, storyboarded scenes or high production value. This show is “run n gun”, GoPro head cam vids, and a little bit of everything. But if you like Bass, and the fact that he uploads almost everyday, his channel’s awesome. Fishing With Flair – This kid is not too good for anything! Pond fishing, McNuggets as bait, using guns to ice fish, fishing in solar eclipes, and more! If you’ve thought about it before, he’s tried it! If you’re a purist, this will not be your cup o’ tea. But if you’re down to see some kids get after it and have a good time, fire it up! Googan Squad – The Googan Squad is the collective group with Flair, Lunkers, Jon B, and a few of their other friends. If you like their individual channels, this channel is a fun watch. Who doesn’t the chemistry of a bunch of friends catching enormous fish and cuttin’ up? Flukemaster – Fishing lessons for a positive lifestyle. This channel is very much an “instruction” type channel. His goal is to teach, and he is passionate about using the tool of fishing to help people through hard times and life changes? Hard to have a more positive mission than that. Carl and Alex Fishing – Two brothers fishing it up in the UK. In addition to chasing plenty of “respectable” fish like Trout and Salmon, these guys go urban fishing, pond fishing, Carp chasing, net fishing, and lots of other entertaining adventures. Bama Bass – This ain’t a dead ringer for everybody out there. Although it primarily features fishing vids, this channel skews more towards a “lifestyle” type channel–you’ll see videos of their house, their baby, and some of the happs in their day to day. They also have some aquarium vids, which are cool in their own right, but probably not for everyone. Catch Em All Fishing – Zak Catchem uses all kinds of crazy bait and tactics to hook some fun and interesting fish. Not the most exciting adventures ever, but for hometown fishing his stuff is fun to watch and his girlfriend is hot! Give this dude a look. Lindner’s Angling Edge – Old school James Lindner gives some nuts and bolt instruction and pointers to anglers of all levels. Boat control, surface lures, line selection–you name it, he has it. Kayak Fishing Tales – Follow Jim Sammons as he travels the world with his Jackson Kayak, on the hunt for monster fish. Kayak Fishing Tales is the web’s premier source for kayak fishing content, including valuable tips, techniques, gear reviews and mind blowing kayak fishing action. In Depth Outdoors – These guys have a good cross-section of all types of videos and content, but they especially kill it in the ice fishing department. If you like to get out on the ice for some wintertime fishing, you definitely don’t want to miss this channel. There are some great fishing and hunting shows on Netflix, Amazon, Hulu, etc. In these episodes, both hunting and fishing challenges are shown. Perfect choices for your Netflix queue (p.s. if you are a hunter, you should check out our complete list of hunting shows here). Pursue the Wild (Amazon) – Remove any notion of traditional outdoor TV and welcome to the world of Kristy Titus, NRA Certified Instructor, Cabela’s Ambassador, and host of “Pursue the Wild.” From her success as a shooting instructor, mentor to fellow hunters and exciting adventures in the field, Titus is presenting the journey of her life. Minnesota Bound (Amazon) – Minnesota Bound explores Minnesota’s nooks and crannies and meets outdoor characters with a passion for the outdoors. Learn about their adventures and conservation crusades told by legendary story teller Ron Schara. MN Bound is the show that started it all more than 22 years ago. Over two decades of story-telling from communities all over the world. Americana Outdoors (Amazon) – A smorgasbord of different adventures, this show includes both hunting and fishing episodes. Through specific challenges, this show provides a holistic look at the passion of chasing after game in the great American outdoors. Fishing and Hunting Texas (Amazon) – Like the name indicates, this is another show that looks at both hunting and fishing trips. Bass, trout, redfish, as well as duck, deer, and other hunts. Yee-haw! Not currently a member of Netflix or Amazon? Before you go joining either of them, there is another option for outdoor enthusiasts. In recent years, a handful of outdoor specific networks have sprang up, providing hunters and fisherman with hours of awesome, on-demand, video content. No need to go searching through heaps of movies and TV shows to find what you want, or pay for stuff you’ll never watch. Just the best in outdoor lifestyle programming, available to you 24 hours a day, 7 days a week. Not too shabby! Carbon TV – This outdoor content giant boasts access to an impressive lineup of 200 on demand outdoor lifestyle shows, including 19 Carbon TV original shows, and several exclusives. Fishing, hunting, shooting, climbing, mountain biking, farming, gardening, and every other outdoor show you can think of! In addition to that, they also have several live game cams that you can tune into. But the best part, it’s free! Simply enter your email to create an account, and get access to everything they have. My Outdoor TV – Unlike it’s free competitor Carbon TV, My Outdoor TV (MOTV) is $10 a month, or $100 a year. For that however, you get access to 208 shows, including lots of your favorites from the Outdoor Channel and the Sportsman’s Channel. MOTV’s “Take With Me” feature allows you to download episodes of your favorite show to your phone and tablet, so you can watch on the go. Pretty cool! Gone TV – A streamlined lineup of 18 different series dedicated to the outdoor lifestyle. Gone TV only costs $5.99 a month, and they also give you a 14-day free trial, to demo the product. As with MOTV, you can download episodes to your device, for on the go viewing. Hunt Channel – Hunt Channel features 117 shows, but unlike the other 3 providers, Hunt Channel is actually a 24/7 livestream of the different shows. So there is a schedule, and at any given time, you can tune in and watch whatever happens to be on. And, it’s free to watch!